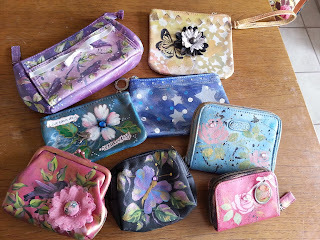 Some of the Altered change purses and wallets I made a while back. I discovered some cute little purses at my local thrift stores and wondered if I could make some use of them. 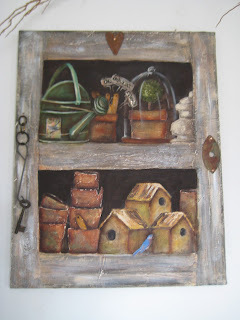 A little acrylic paint and embellishments later, I had these little treasure holders ready to sell. Fun to create too.